As you know, on 19th January, I had the honour to be sworn in as the President of the Republic of The Gambia, reflecting the will of the people expressed in free elections. We are assembled here today for an important step on our democratic agenda, the inauguration of a Joint Transition Team. Our 1997 Gambian Constitution requires a defeated President to exit office after an election. That is why the outgoing President was expected to properly hand-over power to my government. This is to make sure there is institutional continuity of knowledge and experience. This requires the two sides to work on a transitional programme. The political stalemate after the December 2016 election made it impossible to have a proper handing over. 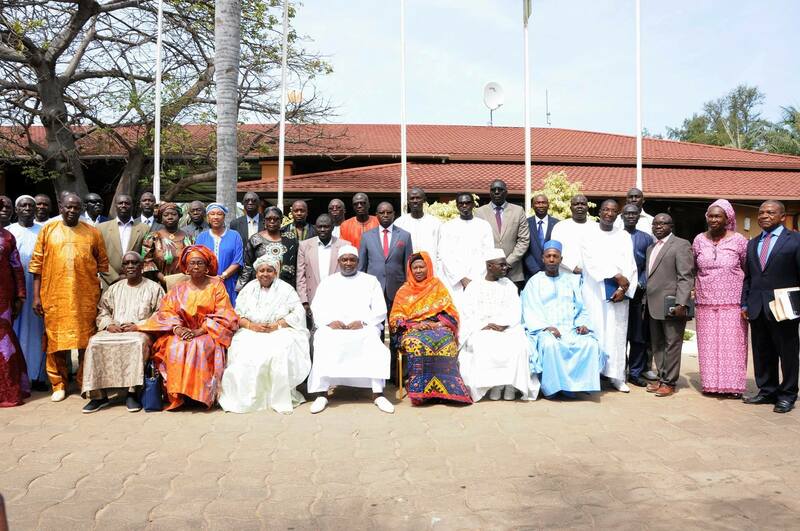 No formal hand-over was undertaken between the government of ex- President Jammeh and my current Government. This has seriously affected the functioning of the administration and the lives of thousands of citizens. It has also damaged the image of our dear country and created fear and panic in our people. As you know, I had to be sworn into office on Gambian soil in Dakar in neighbouring Senegal. Ladies and Gentlemen, Gambia shall remain an independent and sovereign state. Regardless of our political, ethnic, religious affiliation, we should all work to contribute to the unity and togetherness of our country. To achieve these goals you have been requested to work as a Joint Transition Team for the benefit of the Gambian people, who have gone through many hardships. My government is committed to democratic principles and the will of the people. We are also committed to the principle of continuity of governance and the need to build durable and independent institutions of State. Today’s process therefore lays the foundation blocks and sows the seeds for fully transparent and accountable governance. As I hinted earlier, in the medium term we will develop stronger framework and mechanisms to better regulate transition. I wish to end by stating that this process is simply to collect facts, data, and information. What is required here are facts which will inform policy decisions for the benefit of the entire country. With the support of our friends and partners from the international community, we, the people of The Gambia have embarked on an important journey, as a free and independent country, that will shape the destiny of our children and grand-children. On this note please permit me to declare this Joint Transition Team duly launched.